Bob’s Red Mill Tapioca Flour is also known as tapioca starch. Extracted from the root of the cassava plant, this grain-free, paleo-friendly flour is a gluten free pantry staple great for baking and cooking. 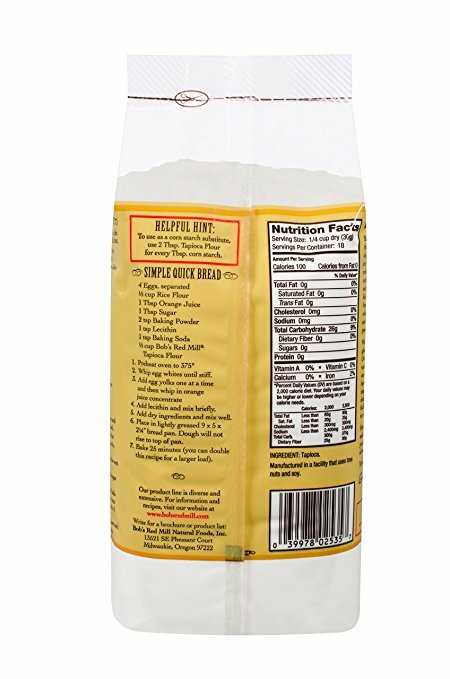 Use it to thicken sauces, pie fillings, soups, and stews or combine it with other gluten free flours for gluten free baked goods with a light and airy texture. 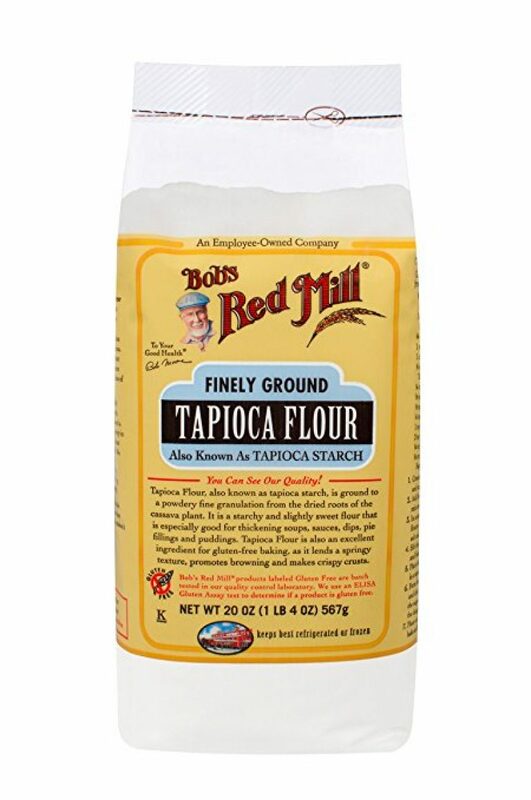 Tapioca Flour is also the main ingredient of the traditional Brazilian cheese roll called pao de queijo. Like all of our gluten free-labeled products, this product is processed in a dedicated gluten free facility and R5-ELISA tested to confirm its gluten free status.